Last week, the VOICE staff conducted an Appreciative Inquiry style focus group with teachers from roughly five different schools that VOICE works with and campers from four or five different schools. Appreciative Inquiry is when a type of inquiry that seeks feedback less focused on the problems with an organization and more geared towards understanding what the organization does well and how to capitalize on that. I, along with the field coordinators and our regional manager, took charge of the session with campers from the five schools, totaling to about ten girls. Before the session, the regional coordinator and I were frantically scratching out and re-wording questions, afraid the girls wouldn’t understand what we were getting at, slightly skeptical about their ability to be as critical as some of these questions required. We proceeded to have our assumptions smacked in the face by the power, thoughtfulness, and insightfulness we saw from the girls in this focus group. From this conversation-structured inquiry, I learned so much more about the girls than I would have otherwise. The girls wanted to be cardiologists, teachers and VOICE camp counselors in the future. One of them said that VOICE helped her see how important her mother is and how valuable her work is even though she doesn’t get paid for it. Another discussed how she witnessed a near relative go through the horror of becoming pregnant too young and how frail and sickly the family member is because of it. But there was one girl whose comment still resonates with me a week later. It was after the session was largely over and we asked if the girls had any last questions. One girl stood up, and spoke in Hindi. Why? I felt my heart sink. Of course, the answer could be hyper-intellectualized, as you do when you sit in any class on feminism. You can talk about patriarchal structures and a system that was built on men’s power and dominance and continues because of those who benefit and have always benefitted from it—in other words, privilege. You can talk about the historical disrespect and misunderstanding of the female body, and those who see it as a tool for reproduction over all else. You can go on and on. And on. It was the best answer we could give her and probably the most positive spin one can put on these deep-seated issues of oppression and discrimination. While it is essential for us to understand why structures of inequality exist in order to avoid replaying such events in the present, for these girls, caught in the everyday residue of this history, what matters now is—how they can harness the resources they have and how they can play with and gain agency within the limitations placed on them girls to ultimately break free from the system. And I can’t think of any satisfactory answer. A testament to the necessity of the work we do. It was a rainy morning when I started for the schools. This worried me a bit. I kept on thinking that if it continued raining, I may not be able to visit all the schools I wanted to that day. But like most rains in India during monsoon season, it never last longs. So, with little traffic and a cool breeze, we drove to the schools to talk to VOICE’s stakeholders. I could tell right when we entered the classrooms that all the girls were very curious and excited about us being in their schools. I started talking to the girls individually about the camp and their experience. Once I got them going, it was hard for them to stop. They had so much to say about camp—how they enjoyed the activities and lessons, how much they had improved in English and confidence, etc. One girl even asked me why we don’t conduct a yearlong camp (little does she know that we are piloting the yearlong program in September). It was great hearing these girls’ questions and comments; it’s as though they never had stage fright or any hesitations when it came to speaking. It is sad, however, to think that many of these bright, young girls will not have the opportunity to obtain a higher secondary education. I was actually surprised to learn that many parents don’t really think it necessary for girls to have much education. I had always thought that this type of parent was a parent of the past, so I was shocked when I learned that more often than not, parents in India do not support their daughters’ decision to receive higher education. It’s weird to think that as an Indian, I did not know this about my country. I guess it was because my parents have always given me so much freedom to do what I want and make my own decisions. I have never felt that my parents treated me differently from my brothers. My brothers and I went to the same schools, and my parents were and still are very supportive of all of us. Education is a very important aspect in one’s life, especially in the lives of girls, because they are the ones who will be taking care of their families in the future. I think when you study and work, you get to know the world better. When educated, you are able to look at things in different ways and make informed decisions. It is not an obligation for all those who have college degrees to work, but by getting an education, one ultimately learns what one likes and what one wants for her life. I thank God for giving me such great parents. I know what you are thinking. As soon as you read the word “dressing” in the title, your mind instinctively went to fashion magazines and fashion editorials, and thought that this would be an article showcasing the fashion in India. But, it is not. This is a blog entry about fashion as an expression of individuality, or in the case of India, the lack of fashion as a lack of personal expression. This is true throughout India, especially in Andhra Pradesh. Fashion in the western world is constantly changing. Women wear pants, dresses, skirts, sportswear, etc. The same is true in India, to a degree. We have different types of outfits for different occasions in India as well. We have sarees, salwar kamiz, half saree, etc. However, the conventions of what to where during each occasion are a lot stricter in India. Dressing in India is not simply a means of expression or art; it is a means of complying with the societal rules and norms. 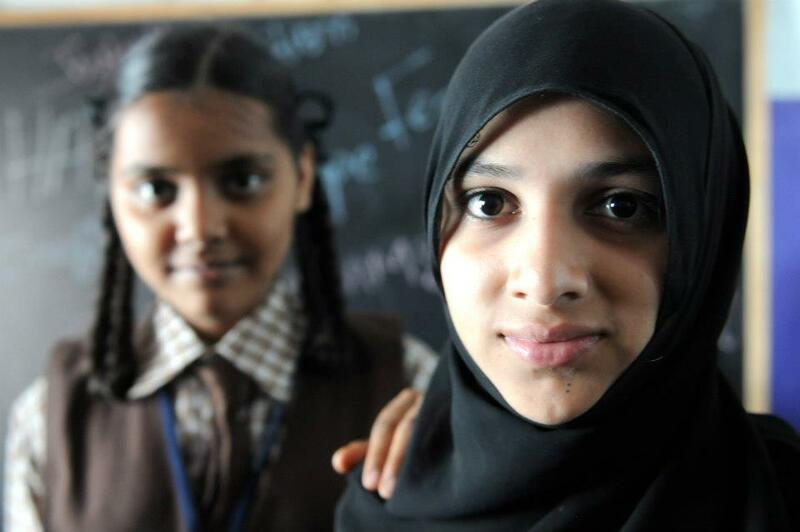 In Andhra Pradesh, girls under the age of 12 are allowed to wear frocks and skirts. However, once they hit puberty, they are not allowed to anything that would not cover the knees. Dressing of course varies from family to family. If one’s family is super conservative and strict, then one may have to wear a lot more layers and cover up. When I was a child, I was allowed to wear frocks and skirts that hung below my knees but showed my legs. However, once I was about 13 or so, my parents forbade me from wearing any frocks, skirts, or jeans. For them, these modern dresses and western clothing could potentially put me at risk for harassment. Not to mention, wearing such modern clothes simply is not part of our culture. 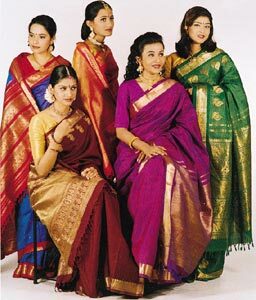 You can see in Andhra Pradesh that girls only wear kurtha pizamas or half sarees. In the case of a conservative family, the daughters and daughters-in-law are not even allowed to wear the kurthas because of how western they seem. In some communities, married women are only allowed to wear sarees. They cannot even change into a night suits for bed. There is also a preference of girls wearing half sarees before marriage and sarees after. A girl or woman who does not comply by these rules will get severely scolded and reprimanded for not understanding the local culture. It is true that nowadays, people and cultures are becoming more progressive. Cities across India, such as Hyderababd, Vizad, and Guntur, are changing up their ways of dressing, becoming more lenient with what women wear. But, this change has not taken place in the villages. In villages, culture still dominates the way people dress. As a workingwoman, I am allowed to wear suits only during work hours, after which I will go home and change into a saree. Personally, I don’t find this particularly restricting because it is the culture I have grown up with. I do believe that girls should have the right to wear what ever they feel the most comfortable in. But, if wearing a saree as opposed to a half saree will keep a girl safe, then why not? I know that girls are not to blame for the harassment and sexual assault that happen to them no matter what they wear. But, looking at fashion as a means of expression, we need to consider that some girls like veiling or covering up to convey their purity and their respect for their culture. Western culture’s way of dressing may be more progressive and lenient, but western culture also dictates what people wear. If we look at Indian women’s way of dressing as an embodiment of culture rather than as forms of restriction and oppression, then we can truly understand what a woman in a saree feels.